The clock reads 11:45 PM. Your english project due before midnight – halfway done. You take a quick gulp of coffee and do some calculations. Lets see: 2 minutes to get this thing in on Schoology, nine minutes to write the rest of that essay… that gives me three minutes to find a quote on the web! With speed to impress a ray of light itself, you type in a quick search and pull up a website dealing with the fall of the Roman Empire. This will be great, I know this website will get me what I need quick as a jiff, you tell yourself, tapping your fingers nervously on your desk. Throwing your hands up in disgust, you exit out and find a new website, one that will more successfully address the need for speed in your dire situation. While not every web search is submitted with as much frenzy as the aforementioned scenario to which many students can relate, let’s face it, web speed does play a major role in which items we look up. If it takes more than a few seconds, often times it’s out with the slow, and in with the fast. Net neutrality prevents any one website from receiving faster internet service, fees, or total blockage by an internet provider than another. It is what gives us the freedom to search as we please, and not be hindered by pesky barriers which might otherwise cause us to give up and pull up a website more conducive to what our internet provider wants us to see. It is also what enables many startup companies to take hold without being outcompeted by larger web giants. Netflix, Facebook and even Google itself were all made possible because when the internet was born, there were no digital super-corporations to block out any competition before it could even get started. Now, however, those aforementioned companies are the supergiants, and in 2015, net neutrality was created to ensure that smaller startups would still be given the chance to even make it onto your screens without being eaten up by netflix or the omnipresent google search bar. However, depending on the results of a vote Dec. 14 in regards to internet freedoms and net neutrality itself, the diverse and easy-to-access web of our recollections could be lost forever. The FCC (Federal Communications Commission) is the organization in charge of regulating fair business practice on the web. They are the ones who ultimately decide how the web is governed, and as of late, many members of this commission have been pushing to return to the framework of much more leniently regulated internet. And there is some truth to that. When companies are not regulated, and given the freedoms to do whatever is most economically sound for their company, they will generally make greater profit and spur the economy. However, this framework is only sustainable for so long. Eventually, some companies become so strong that others simply can’t keep up. Those that are small will not innovate, knowing they will just get eaten up anyways, and those that are large will not innovate, knowing they won’t have to compete for customers with anyone else. 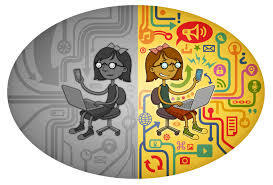 Additionally, some dissidents of net neutrality, like journalist Josh Steimle, are against net neutrality on the grounds of how they believe the government will administer such legislation. “If monopolies are bad, why should we trust the U.S. government, the largest, most powerful monopoly in the world?” he claimed. There is also truth in this statement, as corruption is a fairly widespread possibility in any organization, state or private. This in mind, it all comes down to who you want making the laws of the internet for you – corporations with strong bias and less restrictions, or a government made up at least in some small sense of the people you as voters elected. Thus, the end result of a web void of net neutrality would be much different from the one we enjoy now. The new laws would ultimately be determined by whatever search engine or social media app carries the most bulk, and we can be sure they’ll have their strong say in what they want us to see. So, unless you want to take the feeling of joy when the school wifi blocks your favorite asteroids game home with you, and never be able to search quite as freely as you do now, you can hope that net neutrality stays in the running.